Let’s take a quick stroll through this 101 infographic we made to demonstrate how this all works in a fraction of a second. 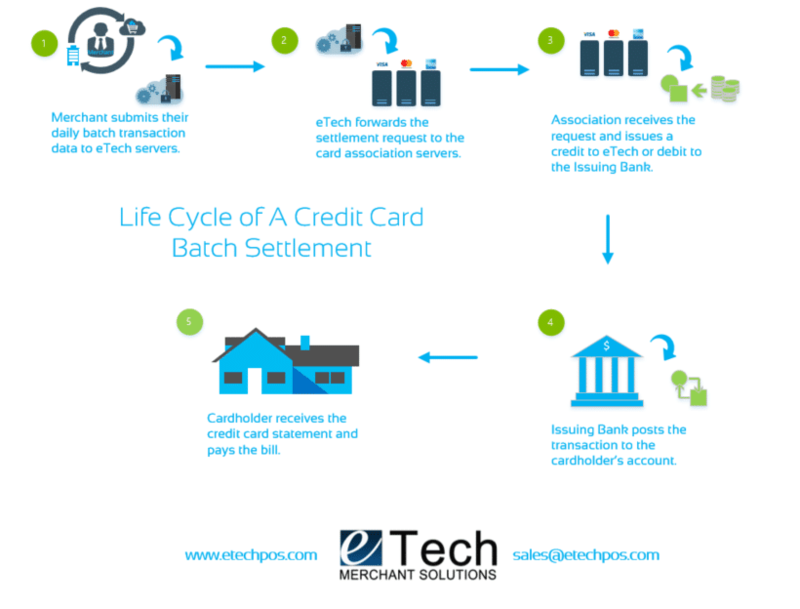 Most of us are visual learners, so here it is, the Life Clycle of a credit card transaction, and how your batch is settled at the end of your day. 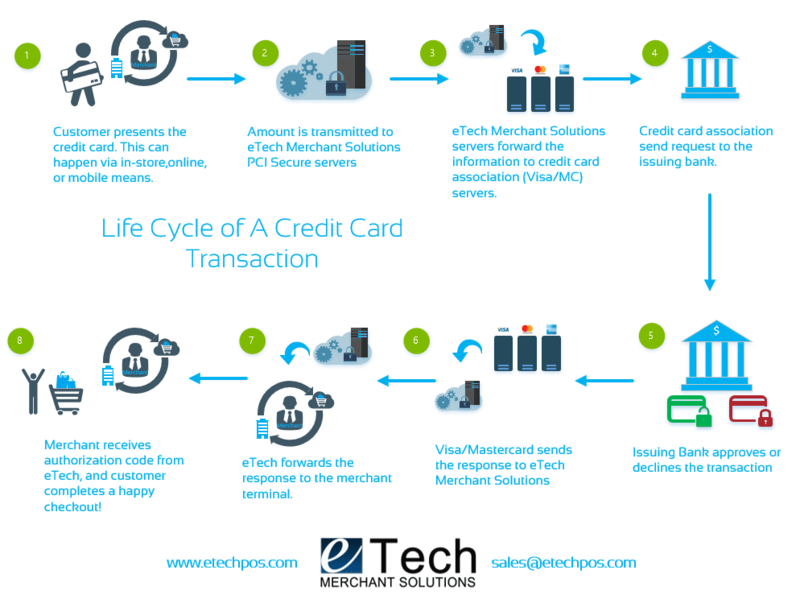 eTech Merchant Solutions provides the latest payment technology solutions to keep our merchants PCI complaint. 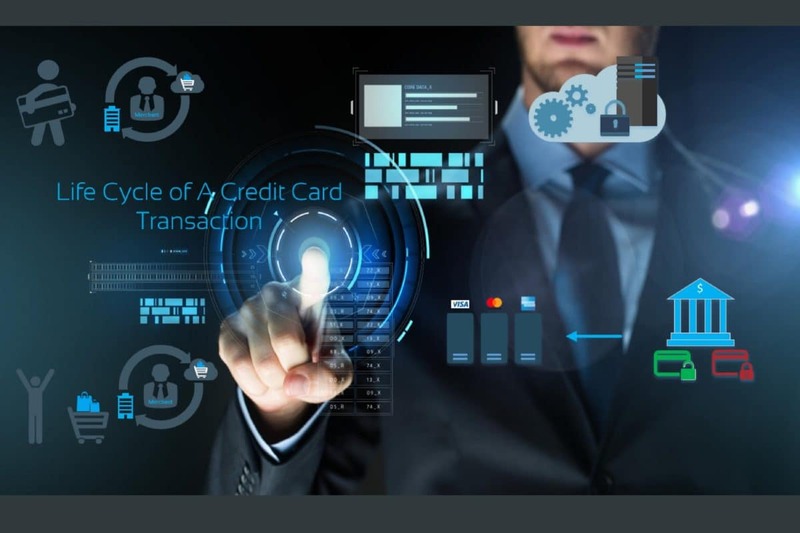 We offer a FREE EMV payment terminal to all new merchants along with discount credit card processing rates. 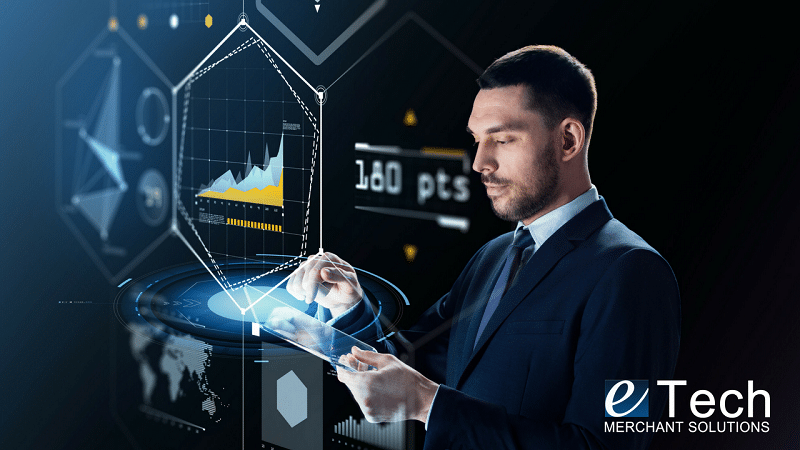 At eTech our mission is simple, to empower small business owners to reach growth and success using tailored solutions to fit your business needs. Call eTech today at 888-650-3330 or send inquiry to sales@staging.etechpos.com for your free quote.